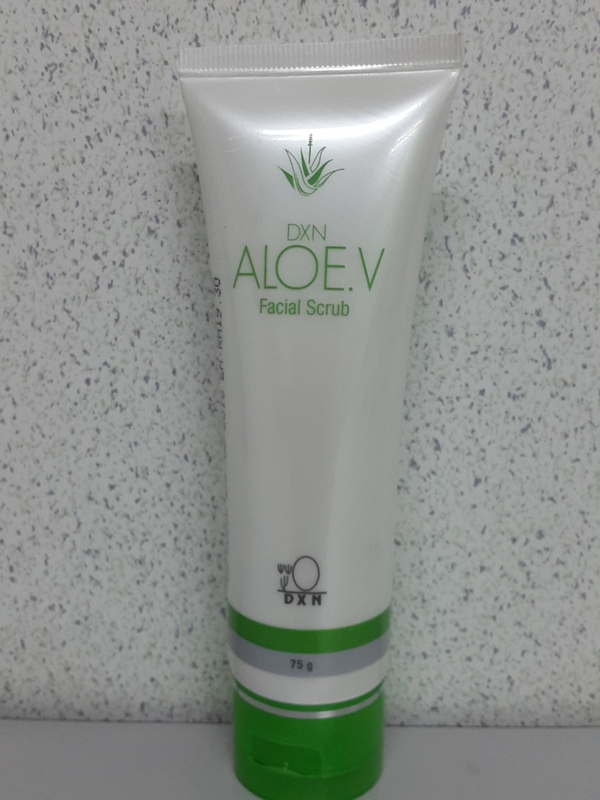 A gentle cleansing facial scrub enriched with Aloe Vera extract that calms and soothes tired-looking skin while gently exfoliatingit. It leaves skin feeling radiant and refreshed. It has Macadamia Oil to soften and moisturize skin. Leaves skin truly smoother, hydrated and truly rejuvenated. Ideal for all skin types. Aqua, Cetearyl Isononanoate, Ceteareth-20, Cetearyl Alcohol, Glyceryl Stearate, Glycerin, Ceteareth-12, Cetyl Palmitate, Cyclomethicone, Sodium Polyacrylate, Olive Oil PEG-7 Esters, Aloe barbadensis (Aloe Vera) extract, Macadamia Integrifoloa Seed Oil, Polyethylene, Phenoxyethanol, Hydrogenated Jojoba Wax, Xanthan Gum, Fragrance, Methylisothiazolinone.